StockBank – 2013 | JONAH BRUCKER-COHEN, PH.D. StockBank – 2013 – JONAH BRUCKER-COHEN, PH.D.
StockBank is a networked piggy bank that displays the current price of ONE share of top tech stocks such as Apple, Facebook, Google, and counts down the current price of one share of the stock depending on the amount of coins inside the bank. As someone drops a coin in the bank, the display shows the amount of the stock share price decreasing until it levels off at zero which means that there is enough coinage inside the bank to buy one share of the stock in the display.When the amount in the bank equals that of the stock, the bank automatically buys a share of the stock from an online broker and the pig blinks on and off to show that it was purchased. 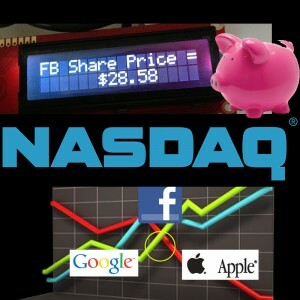 When the bank is emptied, the counter resets back to another share price for a top tech stock and starts the process over until the amount matches the price. 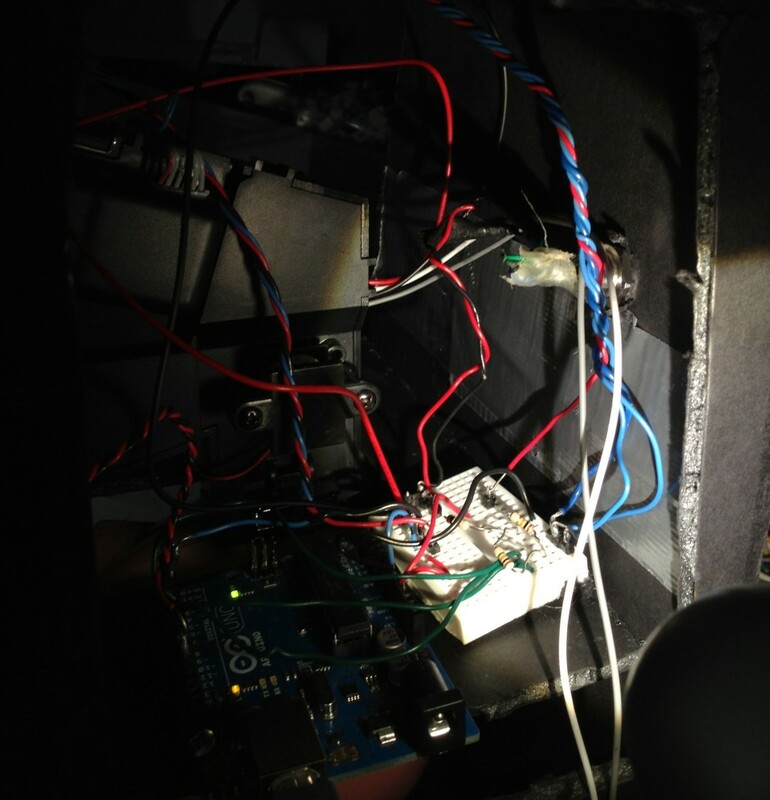 This Piggy Bank is Our Stock Broker, Hackaday, April 20, 2013. Reddit: StockBank, an Arduino piggy bank that buys stocks when it has enough coins. How to build inside., April 11, 2013. Adafruit Blog: StockBank – A Networked Piggy Bank , April 11, 2013. BuzzFeed: StockBank: A Piggy Bank That’s Networked To The Stock Market, April 16, 2013.